Two women help collect waste. They are helping clean the environment though talks and getting residents involved. 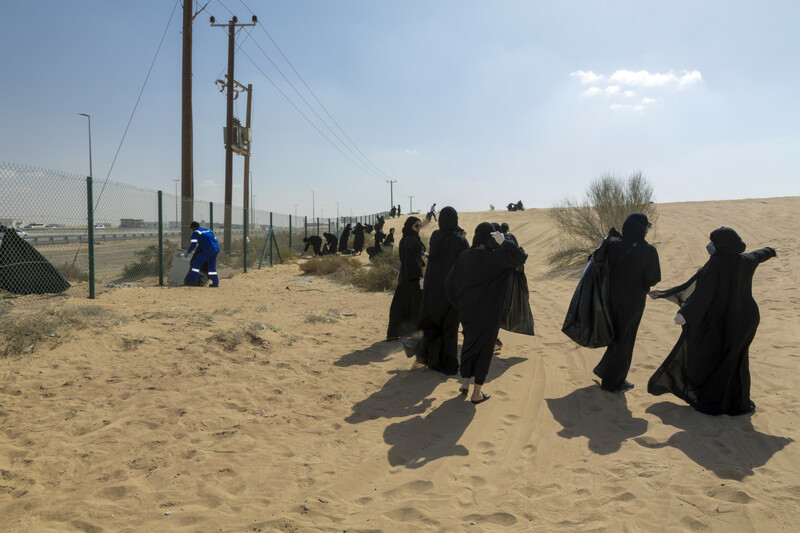 We are out in the mountains and desert every weekend, ever since we moved to the UAE, and the amount of waste we find is very upsetting. How can people go for a picnic and sit in their own or other people’s waste? I met Malini Nair quite some time back, we both feel heartbroken when we experience littering. It is an environmental problem; waste kills plants, animals and end up in the ground water. Nair is a club member of the Sharjah Higher Colleges of Technology and faculty mentor. We felt we had to do more. After many chats together Nair and I took an initiative to educate the youth and ran sessions of community clean ups. Not a new or unique initiative, but we managed to get two companies on board to help us. Adearest and My Green Chapter, both very involved in a greener planet and creating more awareness. She and I did quite a few projects together, Nair organised workshops for me to speak at, sharing my experiences as a passionate wildlife photographer, at the Sharjah University and some schools. On February 20, our first location was the Maliha-Kalba road, behind a petrol station. We were convinced cleaning up where public can see us would be a good choice to create awareness. 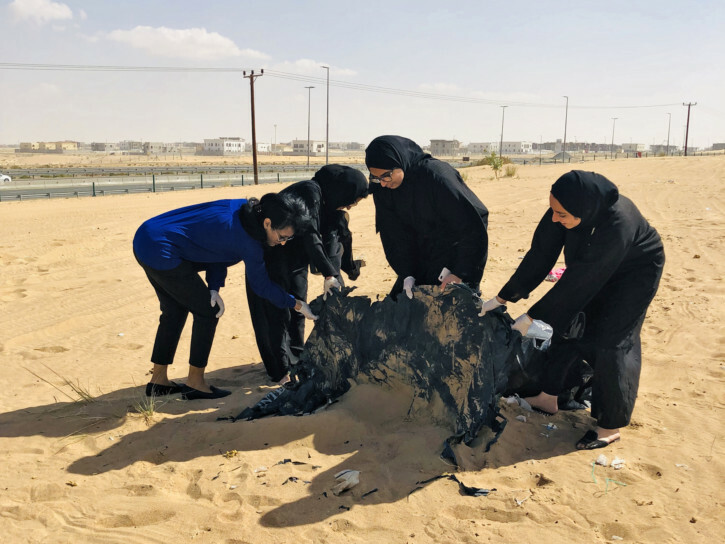 Nair organised the clean-up with students volunteering and club members of Sharjah Higher Colleges of Technology with their faculty mentor Abdul Ghafar. Adearest helped us by providing waste bags, gloves, face masks and transportation for the waste we collected, while My Green Chapter took care of us by providing a snack and drink during the campaign. 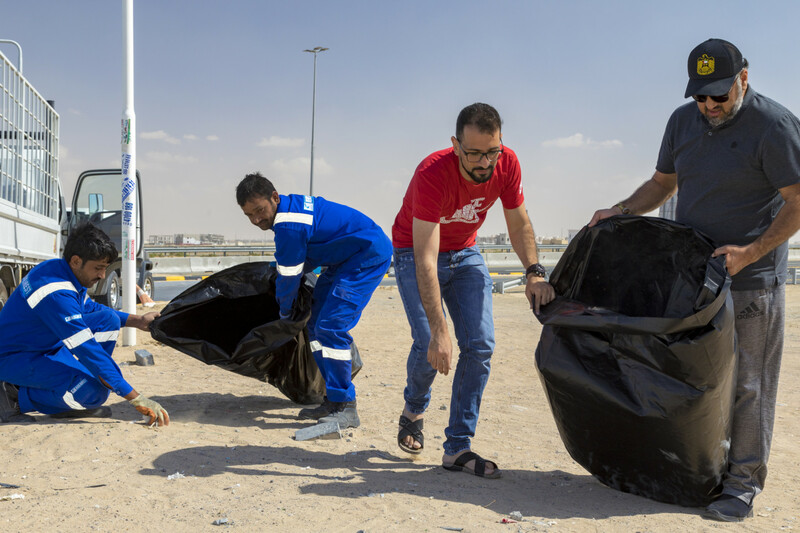 Within no time, we had loads of waste bags filled with plastic, empty cans, broken car parts, glass, construction materials such as pieces of rubber pipes and steel, plastic bottles and bottle caps, straws, rugs, sun shade covers, and a lot more. Two men who were waiting for their friends at the petrol station, saw us cleaning, they felt inspired and decided to help us and that was wonderful. Many people passing by gave us a thumbs up and appreciated our efforts. 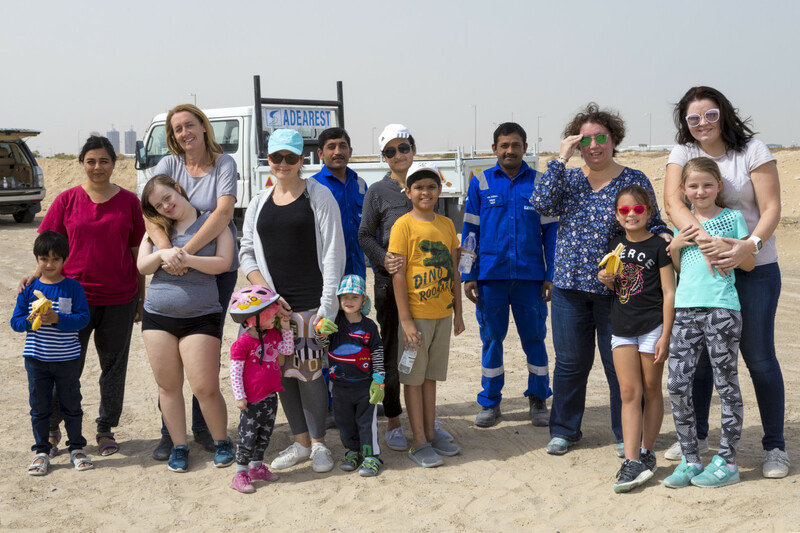 On February 23, our second clean up was in Silicon Oasis. Silicon Oasis authorities are keeping it very clean, but behind the villas people illegally dump waste. There’s a nice and green stretch where people go for their morning walk alone or with their dogs, but the amount of waste people leave there is unbelievable. The volunteers came from Mirdiff and Silicon Oasis, varying in ages from three to 50 years old. When we go out for a picnic, hiking or camping with friends and family and we find all the waste, how can one enjoy Nature? It is very upsetting that the people who were there before you don’t care or don’t realise what they are leaving behind. It can also be dangerous, for example, glass and other sharp objects can hurt people. I spend a lot of time out to look for animals as I enjoy observing them and photographing them. Finding animals living on top of the waste, dead animals due to eating waste is just heart breaking and I thought that something must be done. We will use the summer months, when it might be too hot to go out for clean-ups, for other environmental awareness activities. We will be participating and assisting in wildlife protection programs. We also aim to visit more schools to raise awareness and extend our impact on social media. — The reader is a photographer based in Dubai.